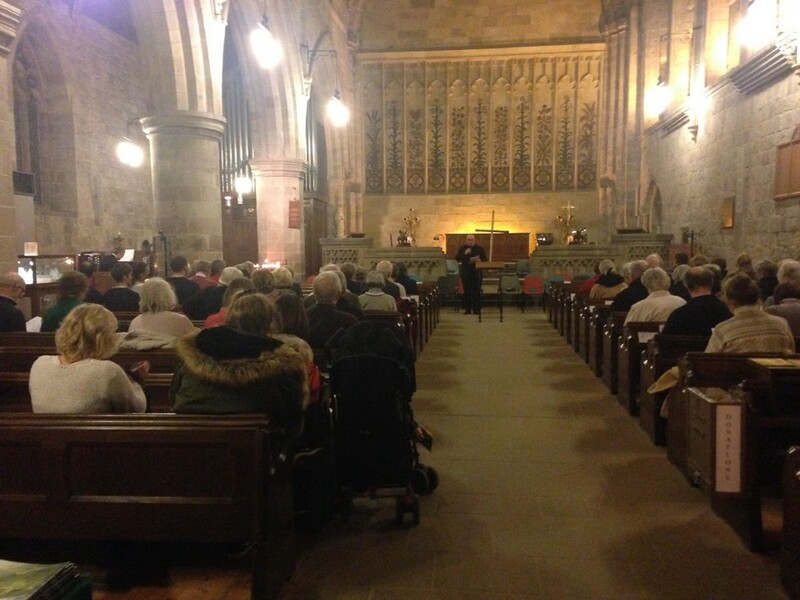 A substantial congregation (seen here being addressed by the Rector beforehand) came on Good Friday evening to listen to, and to join in, Stainer’s ‘Crucifixion’. 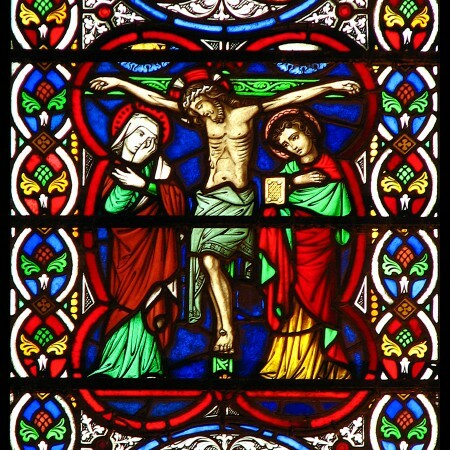 This choral work, intended to be performed by church choirs but also including hymns for the congregation, featured soloists Warren Gillespie (tenor) and Miles Taylor (bass), the Priory Choir augmented by singers from local choral societies, with Sean Montgomery on the organ. The event was guided and rehearsed by the Priory’s Director of Music, Dr Tim Raymond, who also conducted the assembled musical forces on the evening.